2. 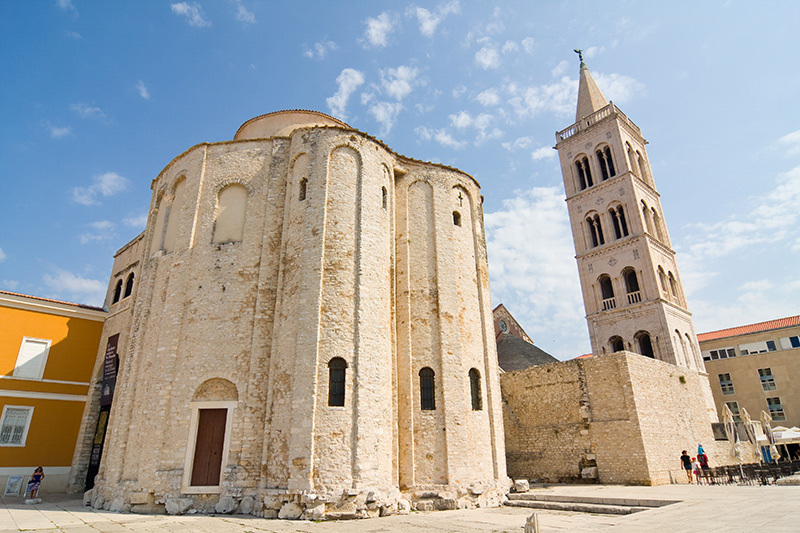 Follow your feet and you might just end up at the famous Church of St. Donatus, Croatia's largest Byzantine church. 3. 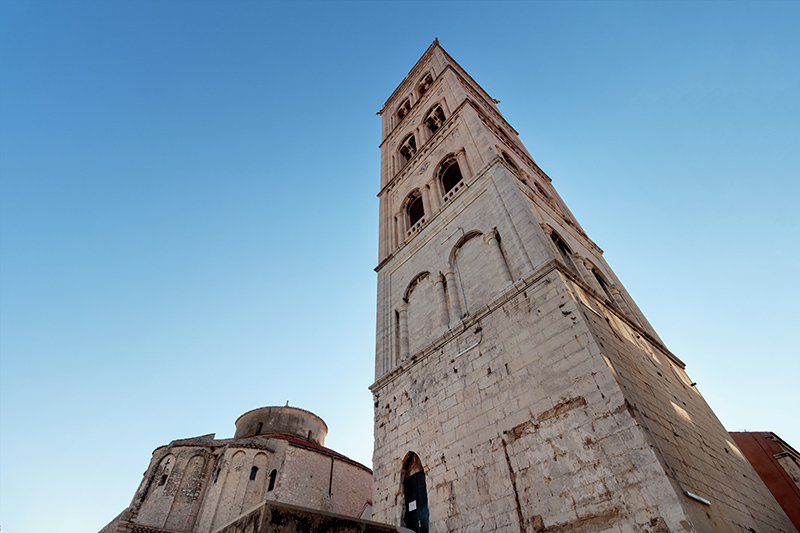 You can climb the brilliant bell tower of St Anastasia's cathedral for a staggering view of the city and sea. 4. 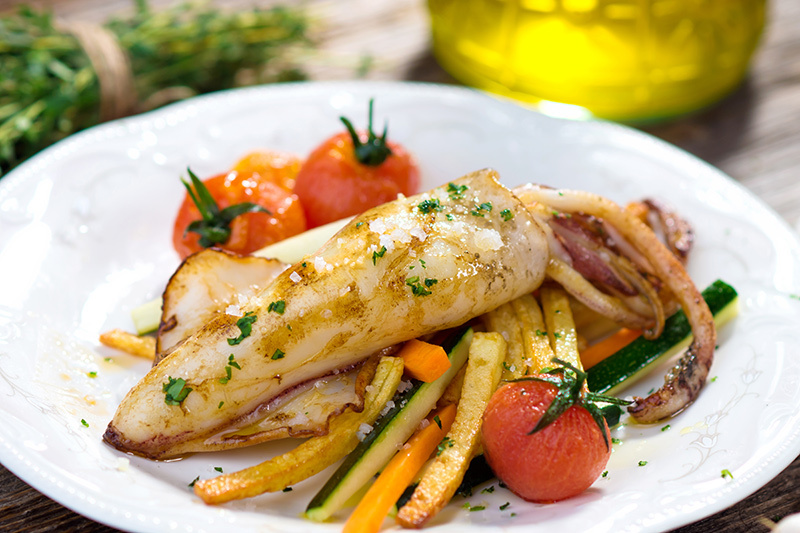 Enjoy stolen flavours from a succession of invaders from the Greeks to the French! 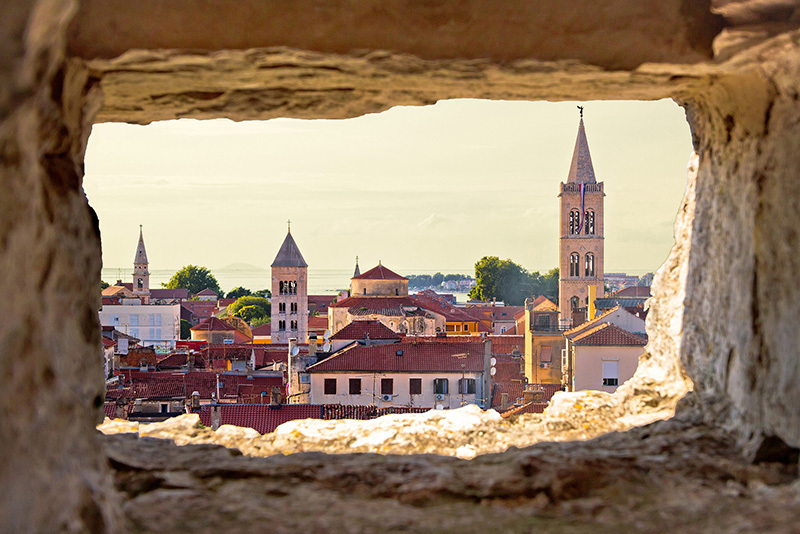 Croatia's delicious culinary culture will definitely not disappoint. 5. 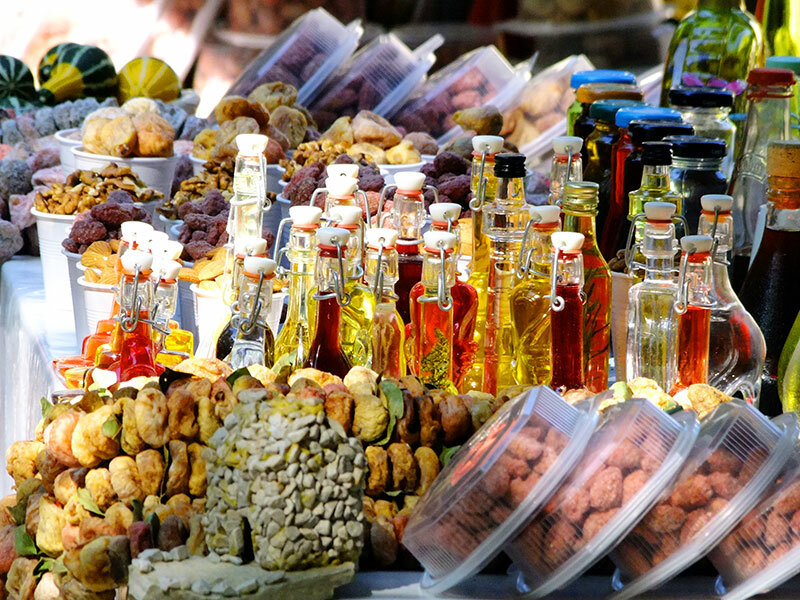 Galavant through the colourful daily food markets selling cheese, olive oils, wines, fruits and more. 6. 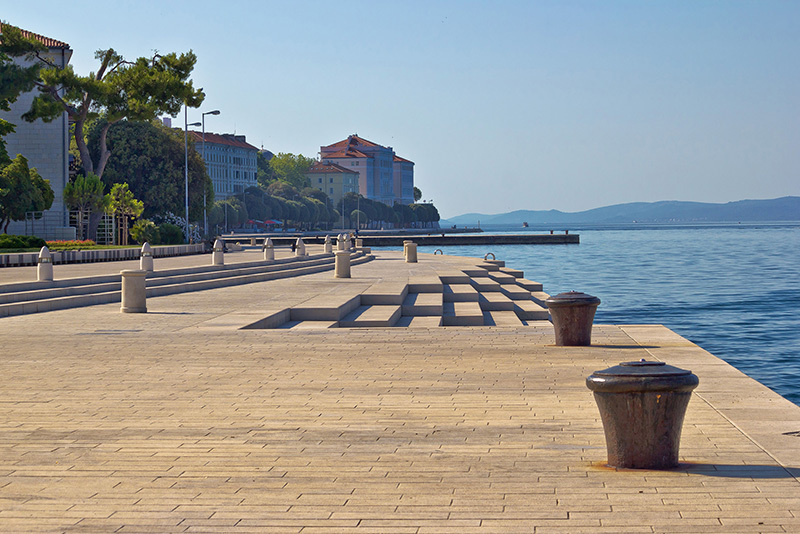 No visit to Zadar is ever complete without a stroll down the beautiful Riva waterfront. 7. 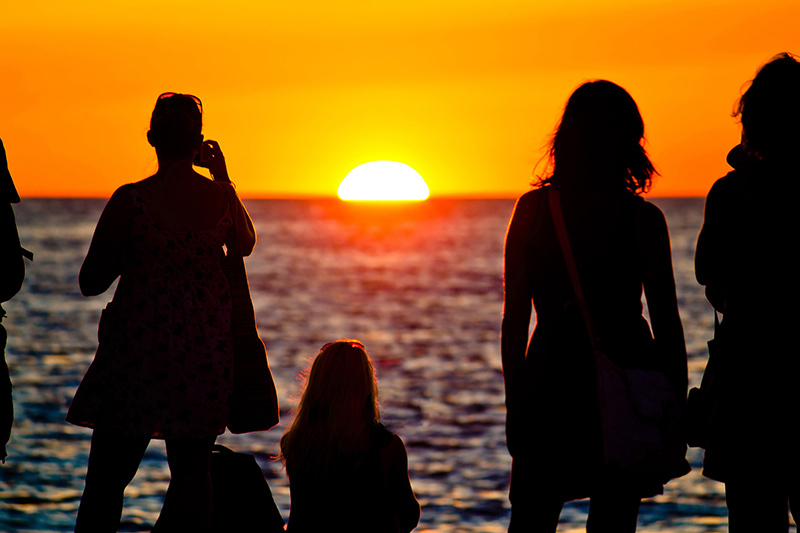 Join hundreds in watching the sun cast its amber glow over the riviera. 8. 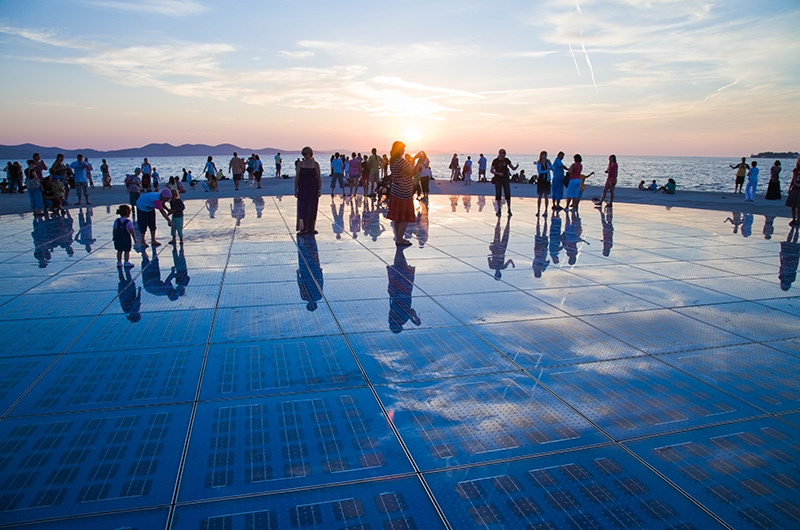 Once the sun is down, enjoy the psychedelic light show provided by the wonderful solar-powered 'Greeting to the Sun'. 9. 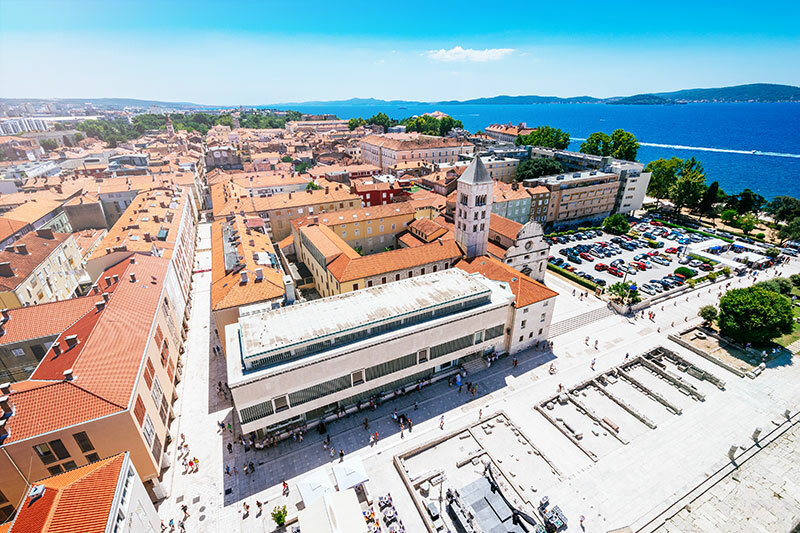 You can venture outbound to some of Croatia's gorgeous national parks. 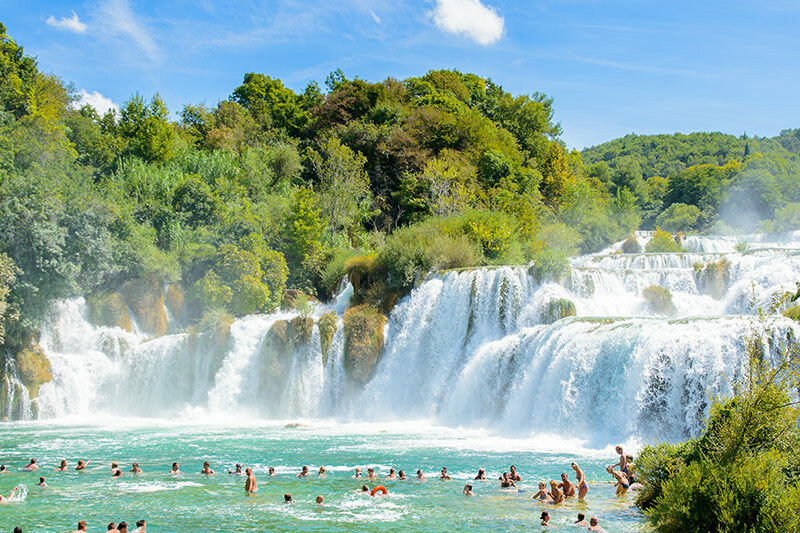 Krka is the closest with some of the most mesmerising waterfalls to swim in! 10. 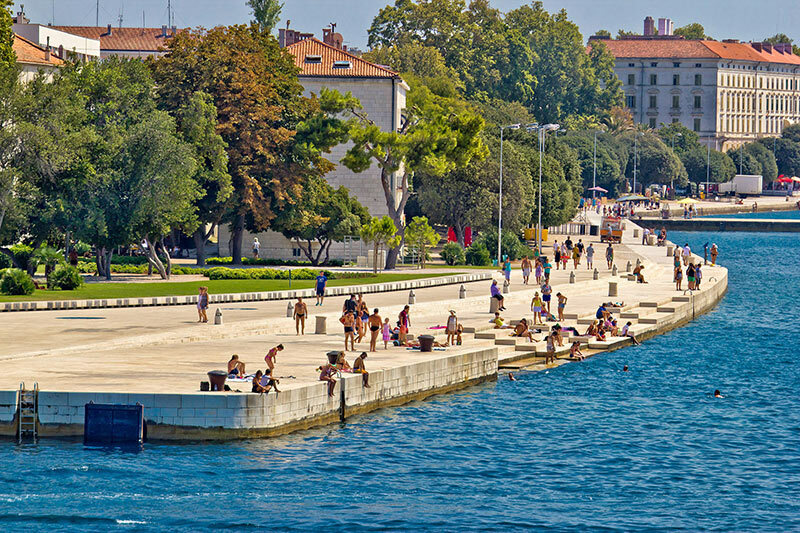 Listen to the mesmerising melody of the sea at Zadar's sea organ, a monument designed by local architect Nikola Bašić. An impressive system of pipes and whistles are set within some stones steps, that lead into the sea and create a soothing, hypnotic chime .